Please note that City Farm is now open on Thursdays for a trial period. Queensland summers can be very hot and dry for extended periods, and though we may get good rain, the times in between can stress plants. In this area with sandy soil, the problem is even more acute, as the soil does not retain the moisture. 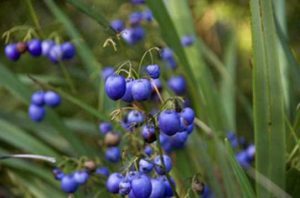 Natives, especially those that grow naturally in the area, are especially suited to the soil and climatic conditions, so will mostly cope with the heat. In really hot conditions though, even established trees may need some water. Trees and shrubs provide screening, shade and shelter and give protection from hot winds thus reducing temperature in the surrounding area, but plants may still need help. The surface of sandy soil is resistant to water and the addition of compost will help retain moisture. Mulching is of great benefit. It is recommended to use a native-specific fertiliser before applying mulch lightly. Re-mulch regularly.